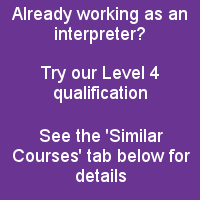 Are you a Professional Interpreter and you would like a formal qualification? 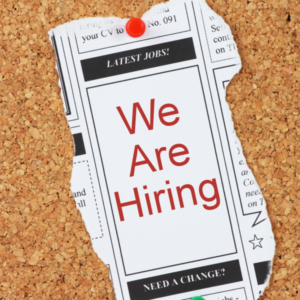 Or are you aspiring to get into this industry? If so the Level 3 Certificate in Community Interpreting Qualification is perfect for you. Level 3 Certificate in Community Interpreting is widely regarded as the minimum requirement for interpreters and one which is accepted throughout the industry for the majority of paid interpreting assignments. 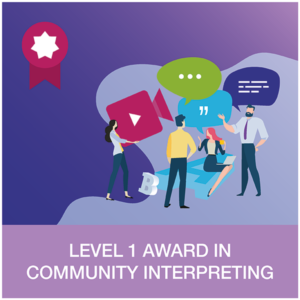 Upon completion of your Level 3 Certificate in Community Interpreting you will be able to work directly with clients who require interpreters or for Language Service Providers who will find assignments on your behalf, either in person or on the telephone from the comfort of your own home. 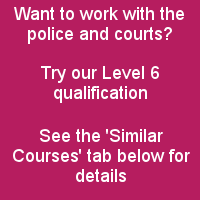 Once you have passed the application process, the course, priced at £774 (incl. VAT, assessment and accredited certificate) (instalments available on request) has a 14 day money back guarantee if you are not completely satisfied – another reason to sign up today and begin your new career. The Level 3 Certificate in Community Interpreting will teach you the basic skills and knowledge that you will need to be become an interpreter. It explains the code of conduct and legalities that you will need to work to as well as the different forms of interpreting. You also get to study the areas of interpreting that you want to specialise in when completing interpreting assignments. The course has a 14 day money back guarantee if you are not completely satisfied – another reason to sign up today and begin your new career. Are you a student with ISL? Apply for a NUS extra card here. You can start the process today by filing in the sign up form below. 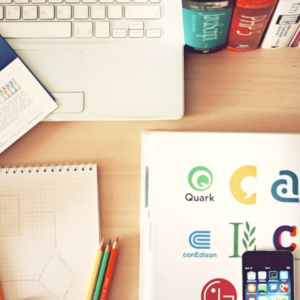 Once completed, you could start the qualification within days. 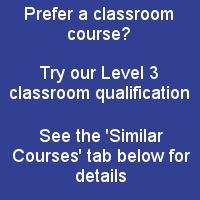 A qualification at Level 3 is 135 guided learning hours in total. The average length of time taken is 3-6 months, but you can complete it quicker if you already have skills, knowledge or experience of interpreting. To successfully join this course, you need to have native speaker competence in your target language and as a minimum you must have Level 2 (Advanced level, GCSE A*-C or roughly B2 of the Common European Framework) in all areas of your English language competence. What do i need to be able to complete this course? The Level 3 Certificate in Community Interpreting will teach you the basic skills and knowledge that you will need to be become an interpreter. It explains the code of conduct and legalities that you will need to work to as well as the different forms of interpreting. You will also choose a number of areas that you want to specialise in when completing interpreting assignments. A minimum of 16 credits to pass the qualification. 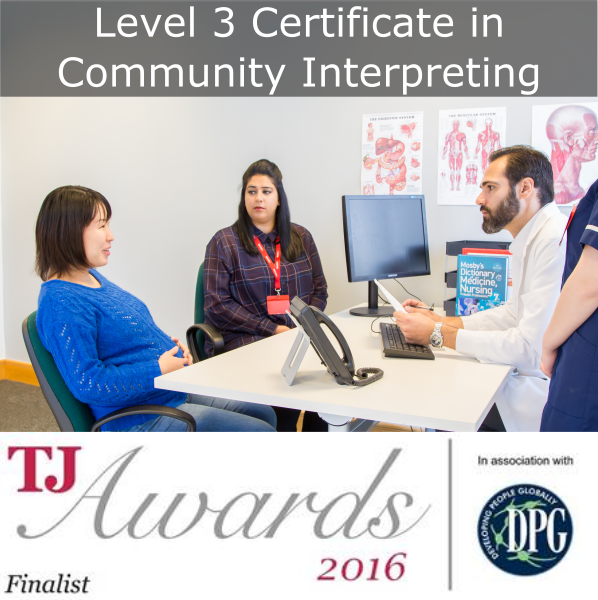 The Level 3 Certificate in Community Interpreting is a vocational qualification, which means that you will be assessed by demonstrating your ability to do the job through various assignments. To make our qualifications as accessible as possible, all of our students can choose to pay by interest free installments, meaning you can earn as you learn. You can get started with your qualification today by completing the contact form below. One of our team of experts will call you back to give you further details and tell you what is next. At ISL, we want to be confident that everyone who is accepted onto our qualification has the right skill, knowledge and ability to be able to successfully complete the learning experience. 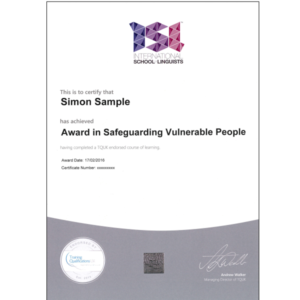 There are also certain things we need to do to be able to register you onto a nationally recognised qualification. In total, there are 6 steps in the registration process, which are pictured below. At each step in the process we will give you clear instructions about where you are and what you need to do next and you can ask us questions whenever you feel the need to make the process as simple as possible. The first step in the process is to register your interest, by filling in the form here. If you have questions about the course that are not answered above, please consult our list of FAQ’s by clicking here.